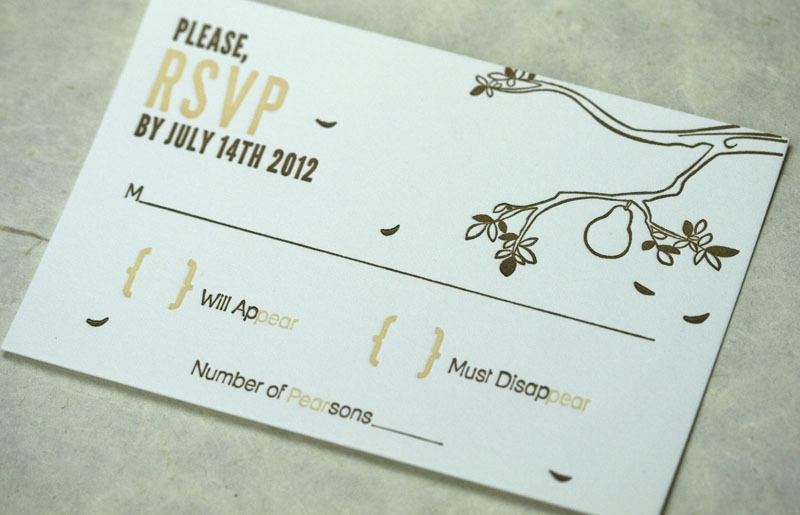 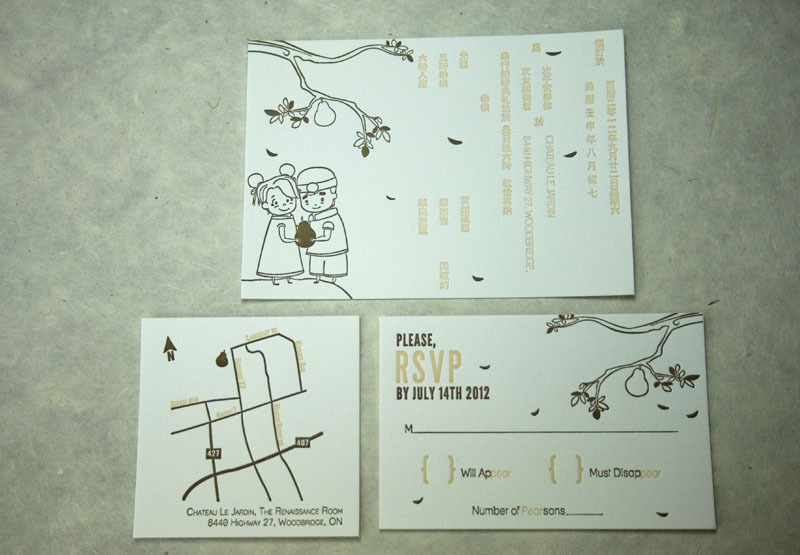 We are often asked if we can print bilingual or foreign language wedding invitations…the answer is a resounding YES! 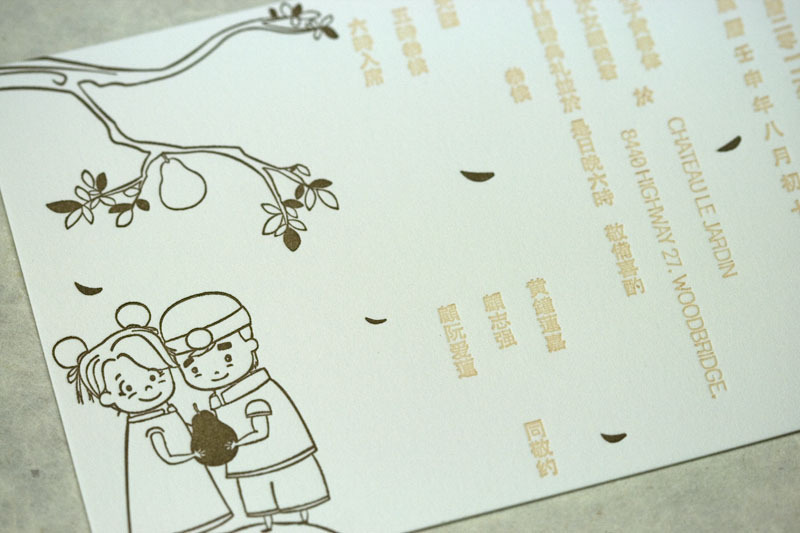 Steven send along this very cute illustrated Chinese/English invitation for us to print, the first we’ve ever printed. 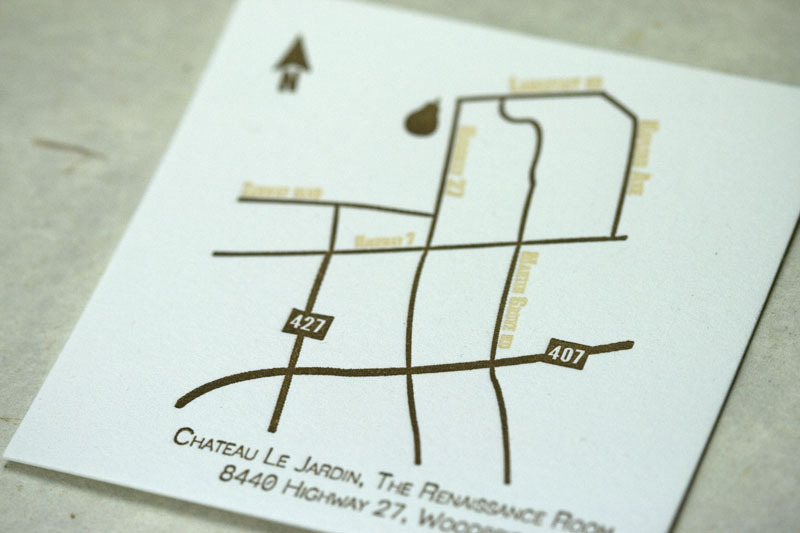 This invitation was such a piece of cake to print, we could hardly believe how laid back Claudette the Press was about it all (she’s usually quite fussy). 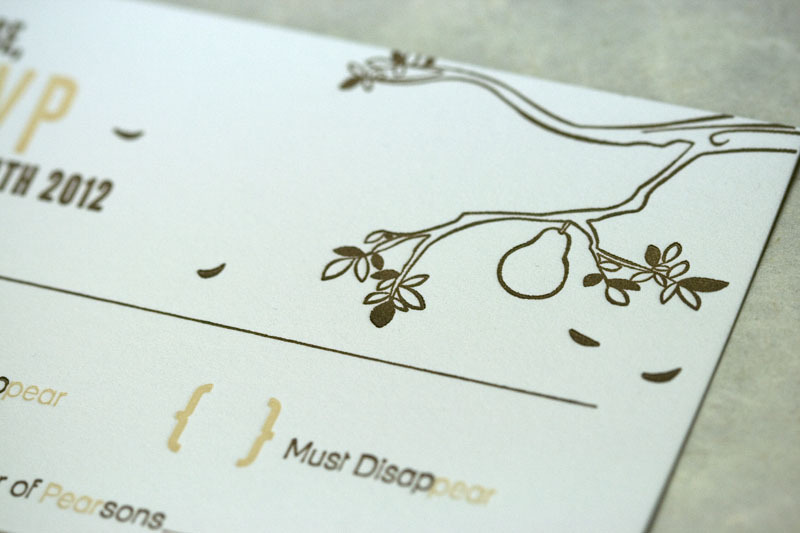 Printed on Crane Lettra, 300 gsm, pearl white.